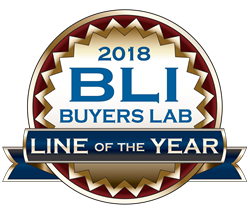 Keypoint Intelligence - Buyers Lab (BLI) announced today that Alaris, a Kodak Alaris business, has been honored with the BLI 2018 Scanner Line of the Year award. Alaris continues to set the standard for what a scanner needs to be in the age of digital transformation. Keypoint Intelligence - Buyers Lab (BLI), the world’s leading independent tester of document imaging products, announced today that Alaris, a Kodak Alaris business, has been honored with the BLI 2018 Scanner Line of the Year award. BLI analysts bestow the coveted Line of the Year honor once annually to the vendor whose product line is determined to be the best overall, with models at every level that excel in BLI’s rigorous two-month laboratory evaluations. To determine the Scanner Line of the Year award recipient, BLI analysts consider current scanners in the OEM’s line that have been submitted to BLI’s lab for testing. To judge the overall quality of the line, the analysts look at the overall rating a scanner received after testing, as well as the ratings in key categories such as Reliability, Productivity, Media Handling, Image Quality, Ease of Setup, Drivers/Utilities, OCR Performance, and Value.